Students across Indiana joined a national walkout movement to protest federal inaction on preventing school shootings. They left classes at 10 a.m., for 17 minutes in recognition of the 17 students and faculty members who died in the Parkland, Florida, shooting. The day of action also marks the final day of the 2018 legislative session. Between votes on the remaining bills of the session, Sen. Eddie Melton (D-Gary) took time to address student activism across the state. He says he’s impressed by students’ leadership in response to gun violence in schools and other communities. “These teenagers are changing the world with their courage and conviction and their unwavering sense of what is right and what is wrong,” Melton says. Several school safety provisions have been added to existing bills in recent weeks, including another $5 million for school safety grant funding, after a request from Gov. Eric Holcomb. Another student demonstration on school safety is expected next month. Students across the country staged walkouts Wednesday including most of the students at Bethany Christian Schools in Goshen. 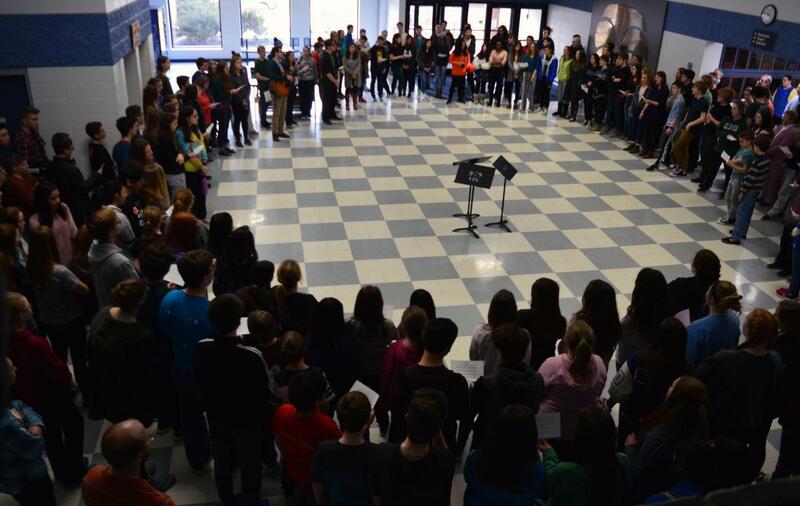 About 80 percent of Bethany’s 350 students gathered in the lobby by the gym at 10 a.m. for song, prayer and strong words from organizer Elizabeth Eby, a senior at the school. “If you believe that your individual voice can make a difference, then we can speak louder than ever and with that voice we will remember those who have been taken from this word too soon,” Eby says. The school facilitated the student led walkout, any students that didn't wish to participate were gathered in the middle school gym. A group from Bethany Christian, organized in part by Eby, is joining the nationwide March for our Lives protests in Washington D.C., on March 24 to further the call for gun control legislation. 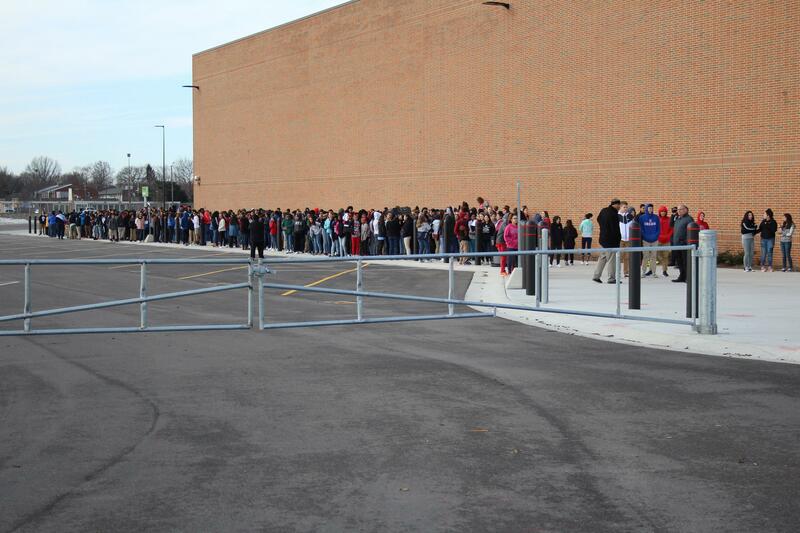 At Terre Haute North High School, officials planned an assembly indoors instead of a walkout. But around 75 students chose to walk out anyway. Those students say it was worth the detention. 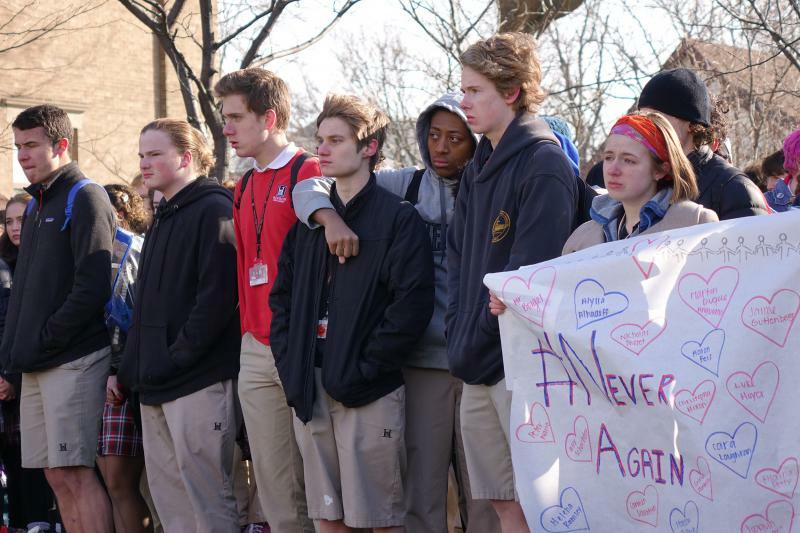 Students at Lafayette’s Jefferson High School staged a silent protest of gun violence Wednesday. The march was organized by student leaders, including Julia Maxwell, who began the walkout with an announcement over the school’s public address system. “Today the power is in our actions, not in our words,” Maxwell said. About 1,500 students – three-fourths of the student body – participated, eventually ringing the campus, with many holding hands. Principal Mark Preston says the students chose not to make signs or wear specific clothing for fear of sending mixed messages. Next door, at Tecumseh Middle School, school administrators insisted they didn’t know about a walkout – even as hundreds of seventh and eighth graders were herded by staffers into a noisy group behind the building. Student leaders at Bloomfield Jr./Sr. 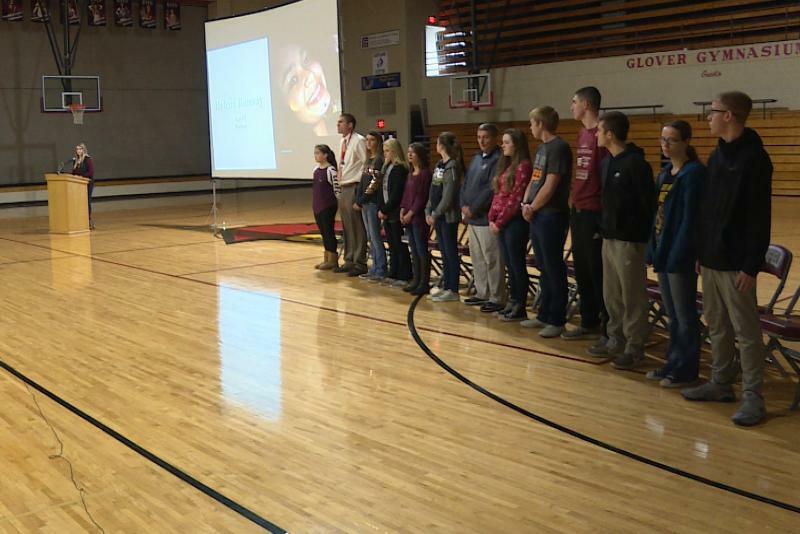 High School organized an all-school assembly to recognize the Parkland, Florida, school shooting. Students filed into the gym in silence just before 10 a.m. 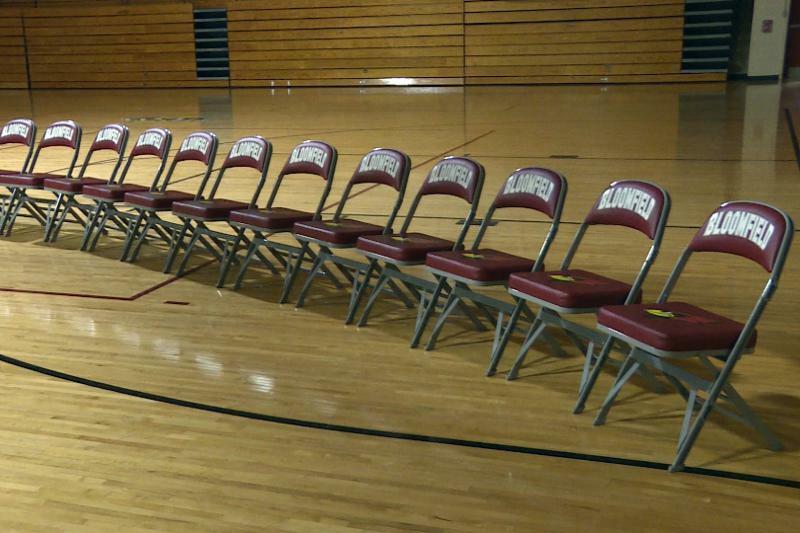 In front of them were 17 empty chairs. Earlier in the day, student leaders pulled 17 students and teachers out of class, to symbolize the lives lost in Parkland. Junior Malea Toon says it’s a reminder that what happened there could happen here. The students who planned the assembly say they didn’t want it to be about politics. Instead, the focus was on what they could do to spur change. Junior Maizy Gilliland say instead of focusing on walking out, they wanted to encourage their classmates to walk up to each other. Educators at Bloomfield say that message is one they’ve been thinking about a lot. Attending the assembly was optional. Twelve out of about 450 students decided not to participate. At Herron High School in downtown Indianapolis, hundreds of students filled the school’s front yard. Administrators at the nationally-renowned charter school allowed students the time to protest outside the school. Students divided into two large groups. One group chanted loudly and held signs, including one that listed the number of students killed in various mass school shootings. The other group stood quietly in a circle while some students read about the lives of the 17 people killed in Parkland, Florida, shooting. At one point during the 17-minute vigil, a student with a megaphone held back tears as she told her classmates, she loved them. Senior Alena Finnell said the walkout was successful. Her classmates want lawmakers to take steps to protect schools. Students at Muncie Central High School let students demonstrate without any punishment. Hundreds of students left class at Muncie Central High School and gathered outside to read the names of the victims of the shooting. Students also held a moment of silence. They then filed into their school’s auditorium to hear speeches by local law enforcement. Delaware County Sheriff Ray Dudley told students that law enforcement is doing everything that they can to keep students safe in the wake of the shooting. “The Indiana Sheriff’s Association is actively working on a school safety plan that we can hopefully institute throughout the whole state,” says Dudley. During the program, many students spoke, praising the Muncie Community Schools administration for allowing them to safely hold their walkout. MCS spokeswoman Ana Pichardo calls the walkout an educational experience for students. She says each of the extra three minutes students stood outside honored one of three 17-year-olds killed by guns in the area, since the beginning of 2018. Among those teens was a Washington High Student, Tysiona Crawford. South Bend Mayor Pete Buttigieg also spoke at the walkout, he encouraged students to make their voices heard. “I think it reflects well on the community,” Buttigieg said when asked what he thought of South Bend Schools taking part in the nationwide walkouts. Buttigieg says the issue of gun violence is a personal one for the city and the community, because of the number of gun-related deaths in the South Bend. He says the issue of gun violence hits home for students in the area and the city is taking it seriously. WVPE's Jennifer Weingart, WBAA's Stan Jastrzebski, WTIU's Joe Hren, WFIU/WTIU's Barbara Brosher, WFYI's Eric Weddle, Newslink Indiana and IPR's Tanner Holbrook, and Indiana Public Broadcasting's Lauren Chapman and Jeanie Lindsay contributed to this story.